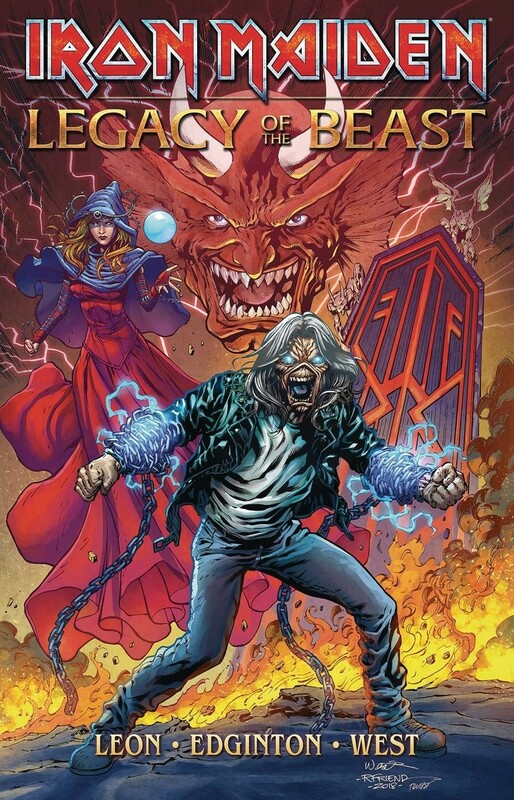 When dark forces conspire to corrupt the fabric of reality, Eddie's immortal soul is shattered and strewn across the cosmos - his unbound essence corrupting countless worlds! Now, a weakened, primal Eddie must journey across space and time to battle the twisted legions of The Beast, seek out the lost shards of his soul, and bring order to the realms!" 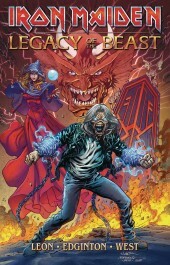 The first official Iron Maiden comic series, based on the band's hit mobile role playing game - Iron Maiden: Legacy of The Beast - where players battle as Eddie across the many worlds of Iron Maiden's discography, from the ancient sands of Powerslave to the far future of the Final Frontier.